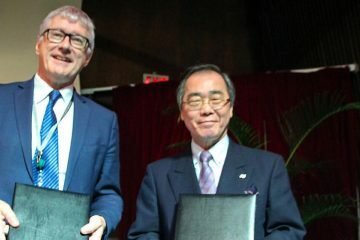 A transdisciplinary group of scientists has succeeded in increasing iron (Fe) and zinc (Zn) levels in rice through biofortification. This is a breakthrough in the global fight against micronutrient deficiency or “hidden hunger.” Their research was recently published in Nature’s Scientific Reports, an online access scientific journal. According to the World Health Organization, Fe deficiency is the most pervasive form of malnutrition and a leading cause of anemia in women and children. Zn deficiency causes stunting and has serious consequences for health, particularly during childhood. 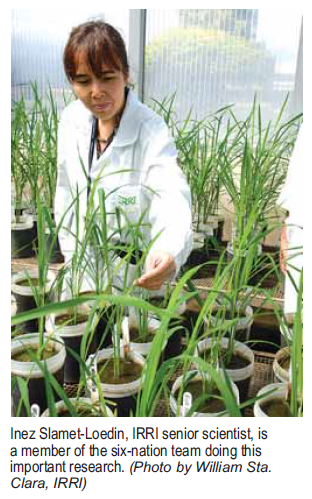 The researchers—who represent institutions in the Philippines, Colombia, Indonesia, USA, Australia, and Japan—have found proof of concept in confined field trials for increasing Fe and Zn levels in rice without a yield penalty or a change in grain quality. This development, a result of research funded by HarvestPlus, could potentially help several nations reach nutritional targets for Fe and Zn. Polished rice grains generally contain only about 2 micrograms of Fe and 16 micrograms of Zn per gram. With limited variation in grain Fe content across the rice gene pool, conventional breeding efforts have fallen short of reaching 13 micrograms of Fe and 28 micrograms of Zn per gram of polished rice to fulfill 30% of the estimated average requirement (EAR) in humans. 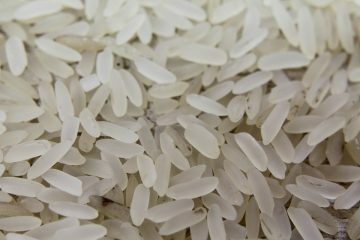 The study found that the genetically engineered rice has significantly increased levels of Fe (up to 15 micrograms) and Zn (up to 45.7 micrograms) per gram of polished rice that human cells can potentially absorb. Scientists used genes—nicotianamine synthase from rice and ferritin from soybean—that together produce high-micronutrient grains. 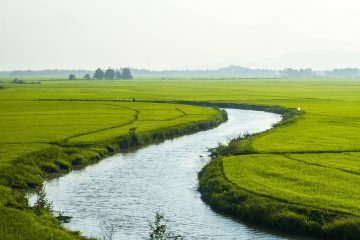 They introduced the genes to a rice variety, IR64, and bred these into other popular varieties of Indica, the world’s most widely grown type of rice from South and Southeast Asia where Fe and Zn deficiencies are prevalent. Gladys Ebron is a science communication specialist at IRRI.